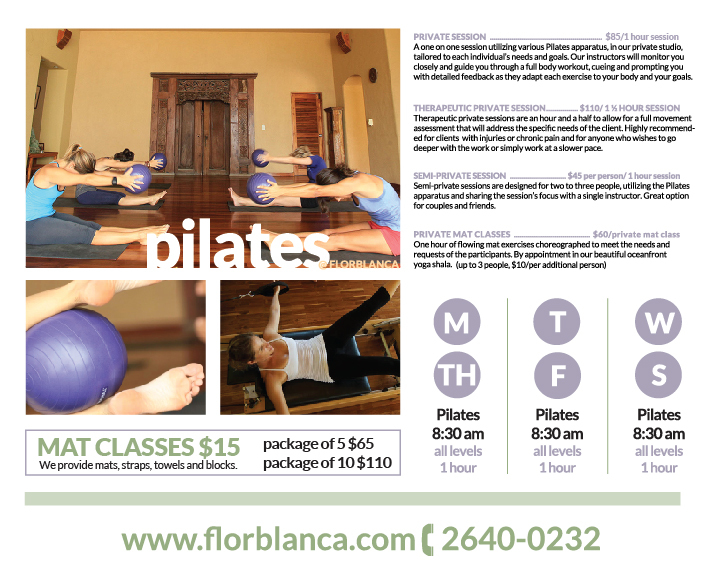 The Pilates studio sessions and mat classes are integral to life at Florblanca. With teachers who inspire us to discover new depths in our practice, we are honored to provide this service to our guests and our community here in Santa Teresa. Stefano Allegri leads our yoga program and we’re pleased to offer classes Monday through Saturday for all levels, from beginner to experienced (Tuesday and Thursday classes are more advanced and require experience). We’ll also be adding in beginner/basic Vinyasa flow afternoon yoga classes with Valentina from 4-5pm on Tuesday, Thursday, and Sunday. 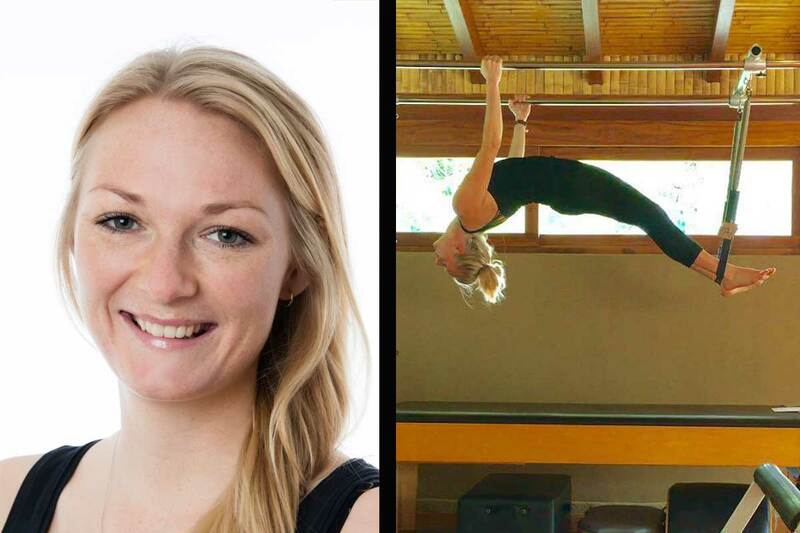 Jenny Speirs leads our Pilates program and teaches mat classes as well as private and semi-private sessions in our fully equipped studio along with Nadja, and our newest teacher, Monika Larsen. I relocated to Santa Teresa because I want to see the world and get new experiences on my own. Monika will be an excellent addition to our program, bringing new insight and dynamics for our students. 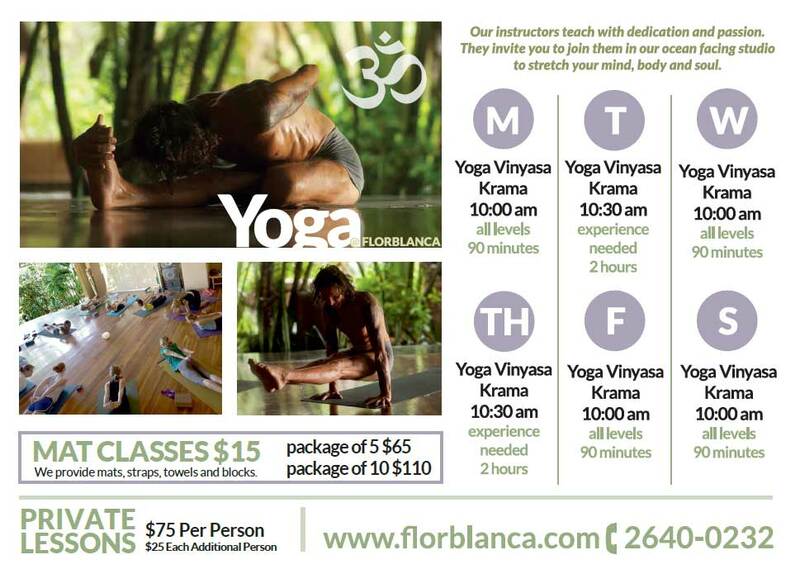 Below are class schedules and information for both yoga and Pilates at Florblanca. We hope to see you in class soon!